Watch a live feed of the Earth right now with ISS HD Live APP. It is the most complete app that shows video streaming directly from the sky. Now you can receive directly from space (NASA) to your device screen, a beautiful, live and HD video streaming from the International Space Station cameras. Follow the ISS orbit around our planet by looking at the embedded map in the app. The map supports drag, pinch, panning and double tap for zoom. 2- Live Standard cameras - You can see a live streaming of the Earth and see some details of the ISS, such as tests, maintenance and communication between Earth and space! 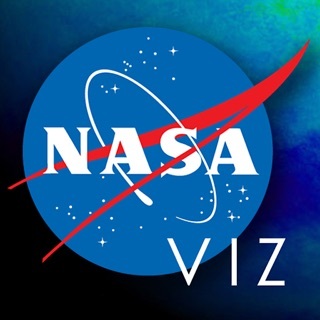 3- NasaTV - (Originally NASA Select) is the television service of the United States government agency NASA (National Aeronautics and Space Administration). It is broadcast by satellite with a simulcast over the Internet. Sometimes you can see the astronauts inside the ISS. Certainly you can replace your fireplace for these stunning video streaming from NASA. And also you can receive notifications when about sunset and sunrise. Sometimes video is not available by transmission problems. Please, be patient, in few minutes the transmission will be reestablished. Black or blue image: International Space Station (ISS) is on the night side of the Earth. The camera is turned on, but there is no enough light to see the Earth. Gray Image: Switching between cameras, or communications with the ISS is not available. No Audio: Normal. There is no audio in the HD camera. * I can’t imagine why anyone wouldn’t give this a great rating - if you want to be dazzled by fireworks you can “google” that so just stop with the negativity - this is real life science so my hats off to the developers for making this such a great way to stay in touch with “those guys (and girls) 254 miles overhead. Obviously none of those “flat-earthers” are doing any of this cross comparison analysis - but I’ll tell you what; when you “live stream” and see your state passing under the model and you see the ISS passing over head it makes you think how awesome the ISS and this app is and it’s great ability to “keep tabs” on the coolest thing I can think of in my lifetime! - thanks guys (the developers/maintenance crew/etc.) Your app rocks!!! Is this the best they have to offer the public tax payer? First off the image quality is horrible! You'd think an organization like JPL and NASA would have the very best camera's / Imagery but it's evident that they don't. Or maybe they do and have tweaked the camera's just enough so that the public can't make out exactly what's what. Either way the live camera viewing is really awful. It's seems like the SD cam has its contrast turned way down and under focused while the supposed HD cam has its contrast turned up to high and over focused. Add this with the constant loss of connection it truly makes this app nothing more than a novelty. It's weird to lose connection as much as the ISS does when your right up there with the satellites that supposably relay this signal. Either way the publics viewing of space could be 100X better so why isn't it??? Normally this app would have gotten a 5 star rating from me, but the cameras - whether HD, SD or NASA option - haven’t worked at all for several days. My two brothers with androids can still see the cameras but myself and my younger brother with iPhones, cannot. Not sure if there was an update which changed things? The website states the last update was a year ago. Very disappointed, especially since the station has been visible several times lately.